I guess almost everyone of you is using a Reliance Jio sim card now for accessing Free Calls, Free SMS and Free SMS. 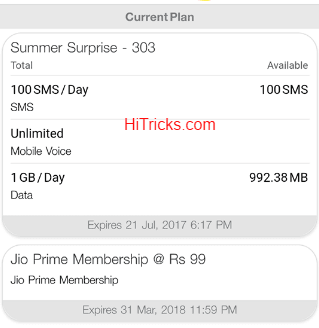 If you are a Jio freak, most probably you have already become a prime member and recharged for Jio Summer Surprise or Jio Dhan Dhana Dhan. But if you are still enjoying Jio Services without any recharges and thinking to continue that, I feel I should personally warn you. It’s time you should act smart and pay up. To be more precise, its time to recharge with any of the available Jio Tariff Plans. Currently, the most recent Jio Tariff Plan is Jio Dhan Dhana Dhan Offer. It is for Jio Prime Members only, but since Jio hasn’t come up yet with any other value-for-money plan for non-prime members, it is implied that you would have to recharge for both Jio Prime and Jio Dhan Dhana Dhan plan. The Jio Prime Membership cost is just a one-time recharge of Rs99. It will give you a one-year period of Jio Benefits, one of which is the Jio Dhan Dhana Dhan offer. It is exclusive to Jio Prime members only. So, before availing the Jio Dhan Dhana Dhan offer, you must recharge your Jio Number for Rs99. The Jio Dhan Dhana Dhan Offer is a paid plan to continue Jio’s bouquet of unlimited services for more 84 days. It costs Rs309 for daily 1GB 4G Internet and Rs509 for daily 2GB 4G Internet. Both these plans include Unlimited Local and National Calls to any network. If any user isn’t interested in subscribing to Jio Prime, he can recharge with Rs149 to just get Unlimited Calls and SMS without the internet service. Apart from this, he has the option to recharge with Rs309 and Rs509 also to get 1GB and 2GB 4G Data per day, but its validity will be just for 28 days and not 84 days. Obviously, it’s beneficial to subscribe to Jio Prime paying just Rs99 extra and continue enjoying the services for 84 days. Well, Jio has over 100 Million users which is resulting in a high traffic load on their website. That’s the main reason Jio Free Services are still running for many users when it’s already the time to accept the paid offer. With this huge traffic load, Jio couldn’t enforce their paid plans at one go. Hence, it is doing it gradually, a few users at a time. That is the main reason that even after 15th April 2017, many users are still enjoying the Jio Happy New Year Offer without any interruption. So, the migration of the service from Free to Paid is taking some time to process, in between that time Jio is continuing their free services so that the users don’t face any issues on the network all of a sudden. But that does not mean Jio will continue this for long. Many people already started assuming that maybe Jio has extended their Free Offer secretly and it will continue. Nope, you are wrong. This is the transition period of Jio Customers, after which Jio will stop their Happy New Year Offer full and final. So, those who are planning to continue using your Jio sim without any recharges, I think I should make you aware of the consequences you may have to face in the upcoming days. In this post, I will discuss the things that will happen to your Jio sim if you don’t recharge your sim right now with the plans mentioned above. So, let’s be straightforward and here are the consequences. There are two stages; I will discuss both the stages one by one. Not recharging with any Jio Plan will make your Jio sim inactive. This is the first stage or warning stage of your Jio sim. This will make the following changes to your sim card behaviour. You cannot make Calls using your Jio Sim Card. As soon as you dial a number with your card, it will tell you that your account balance is low and disconnect the call. You cannot send SMS using your Jio Sim Card. It won’t be successful. You can, however, receive calls and sms using your sim card. You cannot connect to Jio Internet also. Your Jio Network Signal Bars will be shown as usual. You cannot receive calls using your sim card either. Because receiving calls requires an active internet connection in non-VoLTE Devices, and internet connection will be unavailable. You can only receive SMS using your sim card. If you find your sim card not working anymore even when you have full signal, then you should know that your sim has gone into the dormant stage. To keep your services active, you must recharge your Jio number with any of the available tariff plans, which I discussed on the top. According to Jio’s terms and conditions, to keep the sim active, you must recharge your Jio number within 30 days after the last plan validity gets over. So, your sim will remain in the dormant stage for a maximum of 30 days, after which, it will enter into Stage 2 which is discussed below. So basically, if you are subscribed into any Jio Plans, as soon as the plan gets over, and you don’t do any further recharges, your sim will go into this dormant stage, and it will remain in the dormant stage for 30 days. You do have the option to recharge your Jio number with any of the available Jio Tariff Plans to continue its services. The Jio Signal bars will vanish, it will show Emergency Calls Only button. You cannot make or receive calls. You cannot send or receive sms. You cannot connect to Jio 4G Internet. Your Jio connection will be terminated successfully, and all Jio Services will be discontinued. To sum up, if you don’t recharge your Jio number, for the first 30 days your sim will remain in a dormant stage after which it will be discontinued. Nothing. Your connection is already terminated, and services are already discontinued. There is NOTHING you can do to get back your connection. If you still need to use Jio Services, you can go to Jio Retailer and buy a new sim giving fresh documents, but it will not give your old number back in service. So, if your Jio sim is fully functional now, then act smart and recharge it, you don’t know when your services will be blocked. Q: Are the above point valid for both Prepaid and Postpaid Jio Sims? A: No. These points are valid only for Prepaid sim cards. Postpaid Jio Sim Cards won’t go into a dormant stage, but the monthly bill will be carried forward to the next month. This will continue for 3 billing cycles after which Jio will contact you and ask you to pay up, pretty much like all other Postpaid services work. They include legal procedures in case the customer tries to fraud the telecom operator. Q: There is a rumour that if I don’t pay for Jio now, my connection will be transformed to a Postpaid connection and I will be billed afterwards. Is it True? A: No, it isn’t. As I have mentioned in the post, if you don’t recharge your number, it will be dormant and finally disconnected. Your connection will not be transformed to Postpaid. Nope. Jio does not have the authorization to convert you from Prepaid to Postpaid without your written consent. Q: How do I know whether my sim is prepaid or postpaid? A: You can always check that from the MyJio App, or by logging in to your account at Jio.com. Recently I logged into my Jio.com account to check my current plan. It’s showing that Jio Summer Surprise Offer is active for me already and I got it till 21st July, after which, I will get the benefits of the Rs303 plan (old) for another month till 21st August. So, as you can see, they have already processed the recharge for my number. And they are doing the same for other numbers gradually. That’s all I have to say right now. 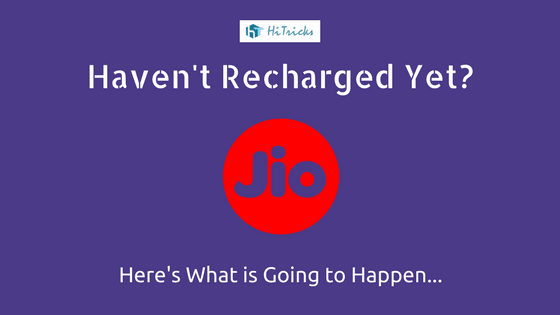 I just wanted to let you know what exactly is going to happen if you don’t recharge your Jio sim number right now. If you love your Jio network and want to stay on it, then please recharge NOW. 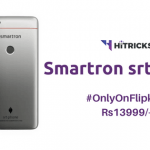 At least for the first 84 days, it just costs Rs(99+309)=Rs408 which isn’t a bad thing. Thank you for reading my post. I would request each and every one of you to please share this post with your friends and let them know about it before its too late. Use the social share buttons below. And for any other Jio queries don’t hesitate to comment below. I will try my best to respond to you. That’s all for now. I will soon be back with another exciting update. Till then, stay tuned! Hi I have a Jio prepaid sim and live overseas. I will use the sim when I am back in India. But I want to keep it active. Can I pay Rs99 and recharge it when I go go back to India. I had a jio sim linked to my adhar. I didn’t use that number after a period of time. Now in my jio app, I can see that old number, still linked to my adhar but in an unknown device. How to remove that number from my adhar? I guess, jio recycled that number to other subscriber but never removed old kyc details. Please advise. What if I recharge with 01 day validity plan of 19 Rs at the last date of dormant period . Would my jio SIM valid for another 30 days in dormant stage.Secondly the validity of suppose 10 Rs is LIFETIME , so what will happen with my SIM regarding it’s validity ? i didnt used my jio sim since 6 months..when i tried to use it,it wasnt showing any network..so i thought it wasnt reachrge for months thats y it is showing so….then i reachrged it and iy is still not showing any network bars…so if my number is discontinued,will i get any refund of that recharge?? I had been issued a postpaid SIM free and thereafter neither I was asked for any payment nor my SIM is in use. Now while trying to activate the postpaid SIM, it is said by Jio that I will have to recharge it by Rs..99+Rs.309. My question is that whether the same SIM shall remain postpaid, I shall receive regular bills with Account No. or it shall became prepaid SIM.